I love LOVE self-help books. One of my favorite authors is Gretchen Rubin who writes about happiness and being true to yourself. 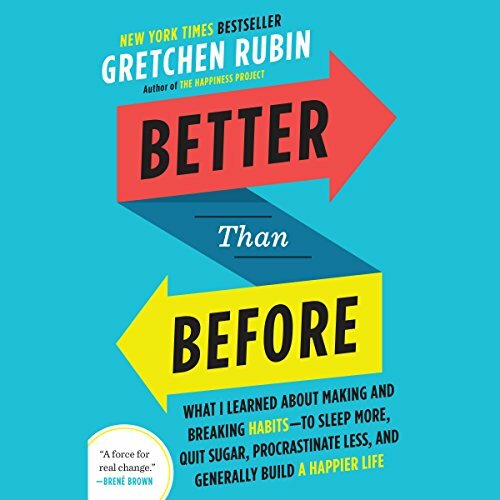 Her book Better Than Before is about changing your habits based on your personality type. Upholder: one who responds readily to both inner and outer expectations. This person can easily do things that benefit her, like exercising every day, getting enough sleep, because these things are important to her. Obliger: an obliger requires external accountability. She needs a coach, a dietitian- someone she can't let down to achieve her goals at work & in her personal life. Rebel: a rebel rejects all expectations- both external AND internal. Questioner: one who questions all expectations. Someone who needs more and more data in order to make decisions. Take her quiz HERE to find out which tendency you are - if it's not jumping out at your already. It's fun :) This is her website also, if you're interested in learning more! Which Are the Most Common Tendencies? 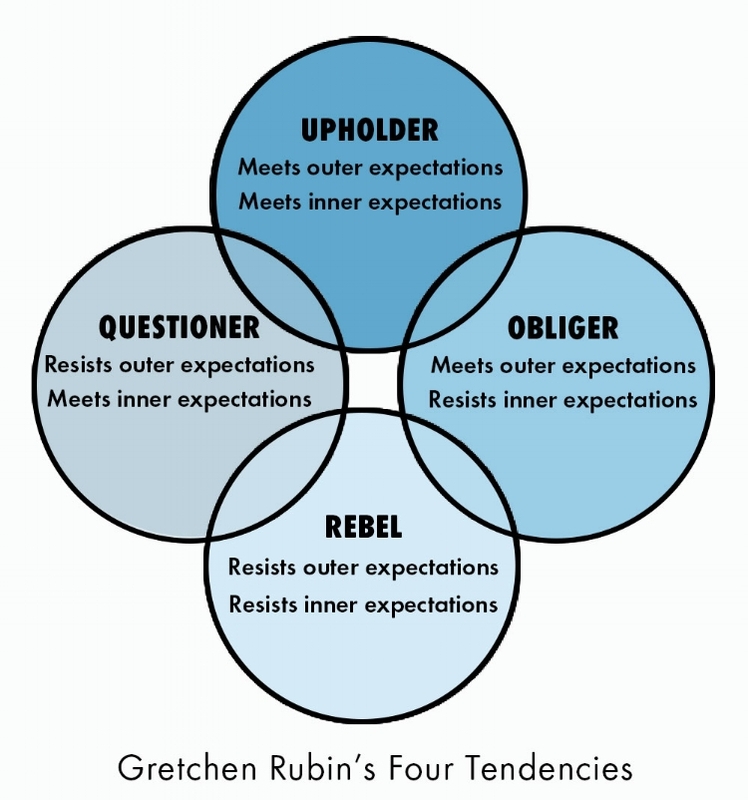 Obligers and Questioners are the most common, Rebels and Upholders are less common. No one tendency makes people the happiest or is the most common among successful people (according to Gretchen). What's most important is that you understand yourself, and set yourself up for success. There is no greater power than self-knowledge! I am an obliger, no questions asked! It's frustrating, because I wish I could just do things on my own. But what is amazing is that now that I know this about myself, I can put things in place to create external accountability in my environment - and really try to live to my full potential. For example, I always have a business coach. I am extremely accountable to my clients. Block Netflix Late at Night: Did you know you can use free/ low price software to automatically limit your screen time? If you're like me and binge watch shows at night, this can be SO helpful. For me, it's very difficult to turn off Netflix on my own, but this way I don't have to practice ANY self control! Here's a good list of the tools that are out there. Get Clever with Friend-Accountability: Being accountable to a friend is a tricky one, because friends forgive us - but it CAN work in some situations. In her books, Gretchen talks about each person taking each other's sneakers- so everyone is forced to go to the gym. So clever, right?? 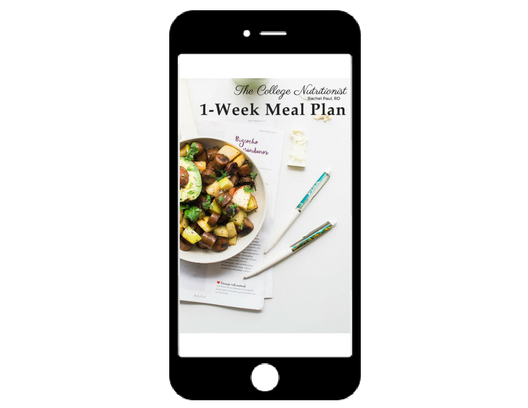 Food wise, if you're looking to lose weight or make substantial changes in your diet, hiring a coach can be the best thing you do for yourself - for your health and your happiness. What's interesting, at least for me, is that I need to be accountable to someone whom I respect, who will be upset if I don't pull through, and who is where I ultimately want to be. Hiring a coach that doesn't meet these requirements won't personally get me very far. That being said, being accountable to a friend may not get you very far, if that friend will forgive you (naturally, being a friend and all!). This is what's called the "friend versus foe" phenomenon. If you think you do need some accountability, I’d love for you to join my group of incredible women!